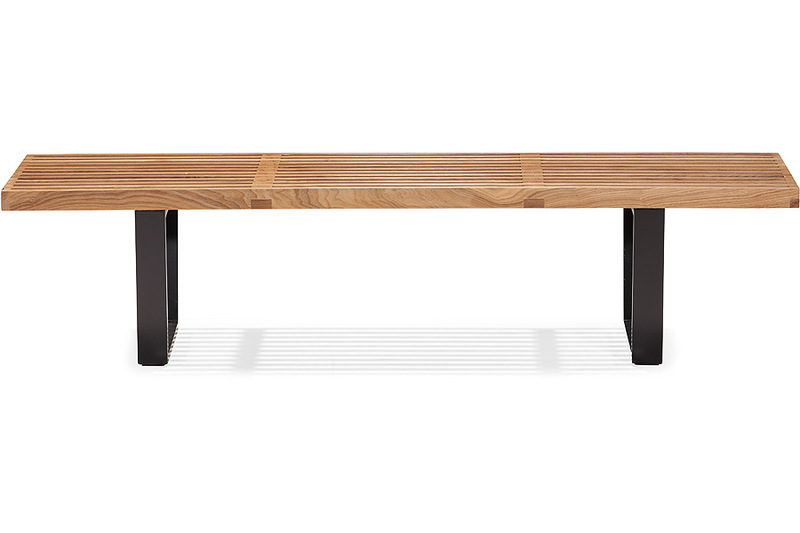 A mid-Century classic, the Heywood Bench is one of the most reproduced pieces of furniture on the planet. And it's no surprise. 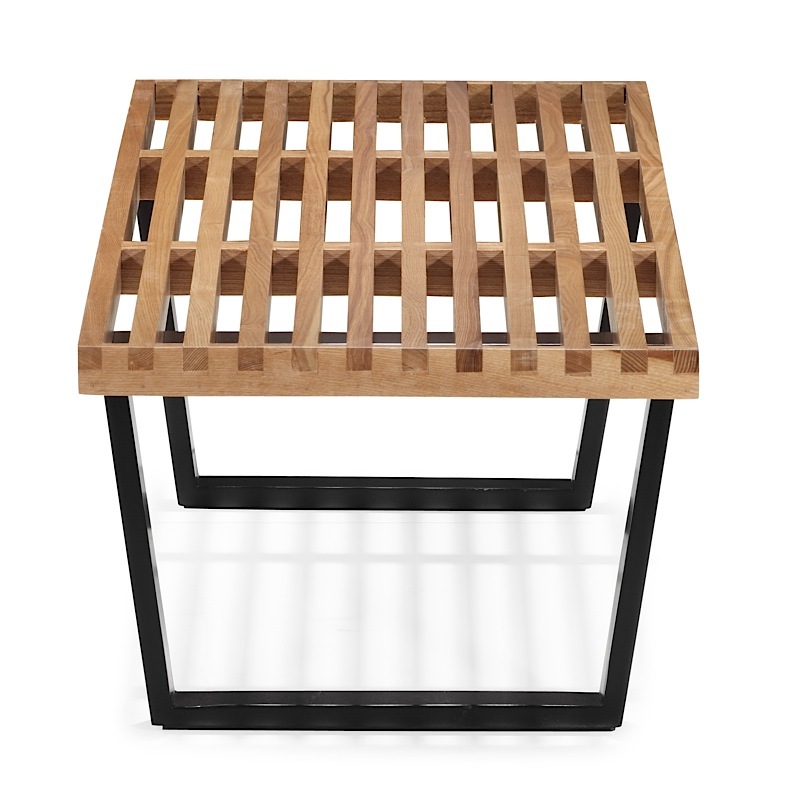 Simple and modern, the Heywood Bench adds a basic, natural wood slatted seat to black angled legs. 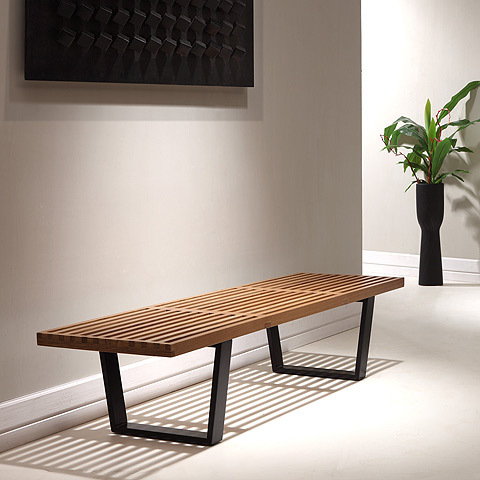 It's elegant lines are the perfect compliment to nearly every space, from a bedroom ottoman to an entryway bench, Heywood truly is universally perfect. 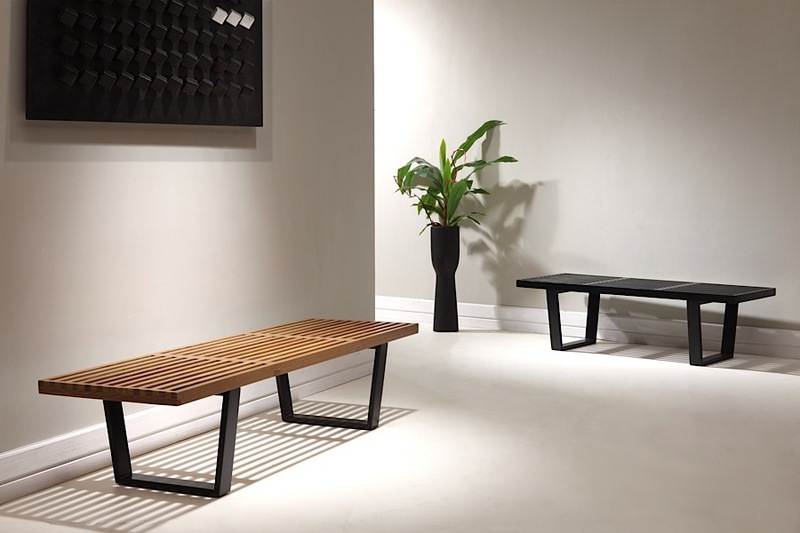 Available in two widths commonly referred to as triple and double, you're sure to find the perfect sized Heywood Bench for your modern home or office (it's commercially rated! ).